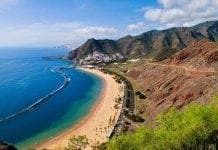 ONE of Britain’s most wanted fugitives has been captured in Calpe on Spain’s Costa Blanca. Andrew Terence Moran, 31, has been on the run for four years after he escaped from the dock during his trial for armed robbery. But now Spanish police have detained Moran, from Salford, Manchester. They said his arrest proved that despite the fact he has used false identities, there is “no hiding place”. The UK’s Serious Organised Crime Agency had Moran on their most wanted list, with police described him as a “violent thug”. In February 2009 he was on trial for a £25,000 armed robbery of Royal Mail guards in Lancashire. But as the judge attempted to remand him in custody he vaulted out of the dock assaulting a security officer. The jury later returned a guilty verdict and he was convicted in his absence. Spain’s National Police said that Moran, who they described as “a dangerous fugitive”, confronted officers when they went to arrest him on Friday. A statement did not specify when he was apprehended but it said that Moran “again attempted to flee and violently resisted the officers”. “The detainee is one of the most wanted British criminals on the run in our country,” the statement added. Footage from Spanish police shows the moment that the fugitive was captured whilst he was by the pool. Moran tries to escape from police by jumping over a wall, but officers catch him. 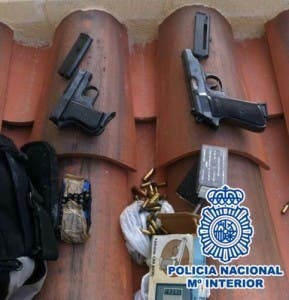 Police later found two firearms and ammunition in his property in the Alicante resort of Calpe. This is so irritating. Salford is a proud city in its own right. It is NOT part of Manchester. It’s just next to it.